To really maximize the custom branded experience of your app, we can add totally customized graphics to each home tile in order to achieve a unique customer touch point that is entirely on-brand. The following guidelines and specifications will help you select the primary features of your app and your designer create the tile designs. Send us the final overall layout as a PDF and the final exported tiles as PNG files. Example: Busylizzy Custom Home Tiles Design using 1:2 and 1:1 tiles with 0px tile padding. The tile designs use 3 columns of square or rectangular tiles. Square tiles are 1:1 ratio, and the tiles spanning two or three columns are roughly 1:2 and 1:3 ratio, with additional allowance for the padding between tiles. Tile padding size is a screen-wide setting from 0 to 50px in increments of 10px. 1:2 tiles should add enough width to cover padding once, while 1:3 tiles should include the width of twice the padding. Example A) 1:2 tile with 20px of tile padding would be 300px tall by 620px wide. Example B) 1:3 tile with 0px of tile padding would be 300px tall by 900px wide. These following are the optional tiles and app features to which they're connected. Module contains various individual promotions. These can be configured as tap to call, tap to website, or tap to email. Provides terms and conditions for a free trial and an email address to request the trial. Module that displays recent push notifications and takes the user to the Notifications view, which shows thread of the club’s latest push notifications. This tile displays a set of images in a loop. It does not use a tile image. This example shows most of the default tile designs but with different label margins and multi-tile spanning background image for a subtle, nuanced brand experience. 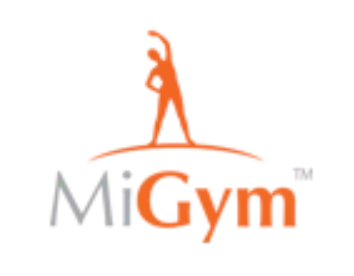 Note that each tile has received a completely separate treatment from the standard MiGym tile sets, with unique iconography, fonts and imagery. Tile padding is set to 0. In this example, Empire Sportfit has developed their own iconography and relied on stock photos to make the app features feel uniquely theirs.